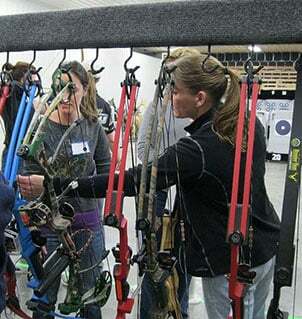 Women new to archery or women who want to take their shooting to the next level and start bow hunting can register for classes this spring that will help them hit the mark, through the Becoming an Outdoors Woman program, offered by the Minnesota Department of Natural Resources. 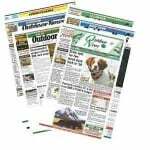 The hunting series has three classes for women interested in learning how to bow hunt, with the first class on Saturday, March 4, at the National Sports Center in Blaine. Women enrolled in the hunting series are given priority for the mentored archery spring turkey hunt and mentored fall archery deer hunt. The beginner’s series consists of two classes for women new to archery or with limited experience. It covers archery basics, equipment and target shooting. The first class is Wednesday, April 5, at A-1 Archery in Hudson. Safari Club International North Country Bowhunters Chapter, A-1 Archery, Chilakoot Archery Cub and the DNR are teaming up for these classes. For more information or to register, contact Bylander at linda.bylander@state.mn.us or 218-203-4347. The Becoming an Outdoors Woman program offers a wide range of outdoor skill classes in fishing, hunting and outdoor sports. For more information, visit mndnr.gov/bow or call the DNR Information Center at 888-646-6367 or 651-296-6157 to request a catalog.